This course is the final year of a 3-year long programme where learners study AP Maths at one of our centres. We are of the belief that those learners who show a high aptitude for Mathematics should not be held back in their education but rather extended. It is with this in mind that Advantage Learn would like to offer learners the opportunity to study Advanced Programme Mathematics as an extra-curricular course at one of our centres in Johannesburg or Durban. This course is the final year of 3 levels (Grade 10, 11 and 12) and is a year long programme where learners study AP Maths over 32 lessons, once a week, between January and October during term time. Our centres are at Greenside High School in Johannesburg, Westville Boys High school in Durban and Maris Stella in Durban. 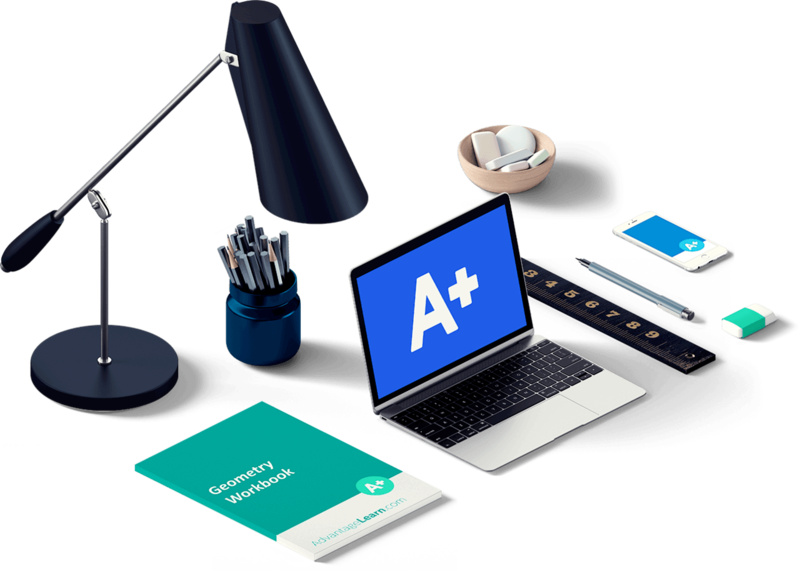 The Advantage Learn AP Maths course is without a doubt the best way to give you the edge and to help you master this important subject. Purchasing this course also gives you access to the full content online to support you. This course costs R5,936 per learner for the full-year course in 2019. Alternatively, we offer a 6 month payment plan of R1,039 per learner per month for the full-year course in 2019. Early bird discount has ended! Prices revert to normal on Tuesday 8th January 2019. Please add the details of the learner(s) who will be using the course below, and then choose your course options before adding to cart. *If you have a coupon code it can be applied in checkout. Why study Advanced Programme Mathematics? AP Maths has a positive impact on Core Maths results. Learners learn to approach Mathematics in a different, more lateral way that helps their problem solving ability. When candidates are being chosen for acceptance into university, successful achievement of an IEB AP Maths certificate is a helpful differentiator for candidate selection. Universities want to know whether learners are going to cope with their chosen course. Successful completion of AP Maths says a lot about a learners Mathematical capability and work ethic. The MAT paper of the NBT is generally easier for students who have taken AP Maths. The subject has been benchmarked by UK NARIC and is considered comparable in demand to the United Kingdom A-level in Mathematics. Some international institutions require AP Maths as a prerequisite for South African applicants. Advantage Learn accepts any learner into this course who wants to extend themselves in Mathematics. We recommend that learners have the attributes listed below. This course should be done by students who have completed Grade 10 and 11 AP Maths. If you have not done Grade 11 AP Maths and would like to start late, please get hold of us so that we can help you with the best option to catch up, it is possible. Learners who are interested in Maths. Learners who wish to give themselves the edge in competitive degree programs like Engineering, Medicine, Actuarial Science and Business Science. This course should be done by learners in their Grade 12 year in 2019. Our team is more than happy to talk to you should you have any concerns before signing up to this course. Click the chat button in the bottom right or give us a call. How does Grade 12 AP Maths in-person 2019 work? This course is designed to fit into a learners school life. The lessons are all outside of the regular class times so that it does not disrupt learners normal schedule. It runs from January to October over a minimum of 32 lessons. Full online access to our AP Maths course (videos, quizzes, notes) to complement the course and enable students to learn outside of the lessons and revise the content. A written assessment in terms 1, 2 and 3 with the IEB final exam written in October. A Scientific calculator. We recommend the Casio FX-991za PLUS Scientific Calculator. All our AP Maths classes are co-educational. This is a good opportunity for learners to get accustomed to this environment before varsity if they are not already at a co-ed school. We run our course in-line with the South African school calendar. The course begins in the week beginning the 14th of January 2019. Lessons are weekly during term times. There are 3 assessments which happen throughout the year. These dates will be given to the learners during the course by the course team and the teachers. They will happen during the term time of the schools. The course ends with the final course assessment in October, however access to the online course content stays available to learners until the end of November. During November we will issue out course certificates to all learners on the course. Below is a table of when the classes happen at each centre. The AP maths syllabus is split into two compulsory modules and then an elective module. The compulsory modules are Calculus (both Differential and Integral) and Algebra. The elective module is either Statistics, Graph Theory or Finance. Our experienced educators have made the decision to focus on the sections of the AP Maths curriculum that are most beneficial. With this in mind the teaching team have decided to train learners on the Statistics elective. We are often asked why we choose Statistics when the other elective topics are slightly easier. The reason is that Statistics is used the most by learners at a tertiary level and thus it is critical that they learn the fundamentals of Statistics in AP Maths. Below is a table of how we teach the syllabus over the 3 years. The course prepares learners for the IEB Advanced Programme Mathematics certificate. The exam is split into Paper 1 and Paper 2 which are normally written on the same day. Learners write this exam in their grade 12 year. This exam is normally taken 2 weeks before the grade 12 finals take place in October. You will need to organise sitting this examination at your local school, we will assist you in this process if you ask us to. The cost to sit this exam in 2018 was R850, however this can change as the cost is set by the IEB each year. The deadline for registering a student to sit the IEB AP Maths exam is the 31st of March 2019. If you enrol on this course after this date and have not already enrolled onto the exam then you will not be able to sit the exam in 2019. We offer two payment options for this course, up front or over 6-months. If you choose the upfront payment option and pay in full before the course begins on the 7th of January 2019 then we grant an early bird discount of 10%. You can pay with any payment option listed at the bottom of the page. You will choose this during the checkout. The 6-month payment plan option can only be used if you choose to pay with a credit/debit card. A 5% admin fee is added for this option and we do not offer an early bird discount for our payment plans. Either click here for more information about AP Maths with Advantage Learn or use the live chat button at the bottom right corner of this page to talk to our team and we would love to answer any questions you may have. A great program with amazing teachers. AP maths definitely improved my understanding of normal maths core at school. This course is definitely a must for any Matric student with the intention of doing AP maths. Special thanks need to be directed to our teacher, Mrs Pike, who would always go out of her way to ensure that each student understood every concept as we progressed through the syllabus. She really brought this subject to life for me, with the extenton questions and extra content she would challenge us with. Again, all Matrics of 2019 and beyond, you have to attend this course If you are doing AP maths. It is only for your benefit. Thoroughly enjoyed learning Ap-math with Advantage Learn. Always helpful at any time.